Each Friday we highlight one of the awesome ladies in the Forth community by learning about her favorite Chicago places and restaurants, hearing what websites she's all jazzed about, and gaining some inspiration from destinations she's dreaming of traveling to next. 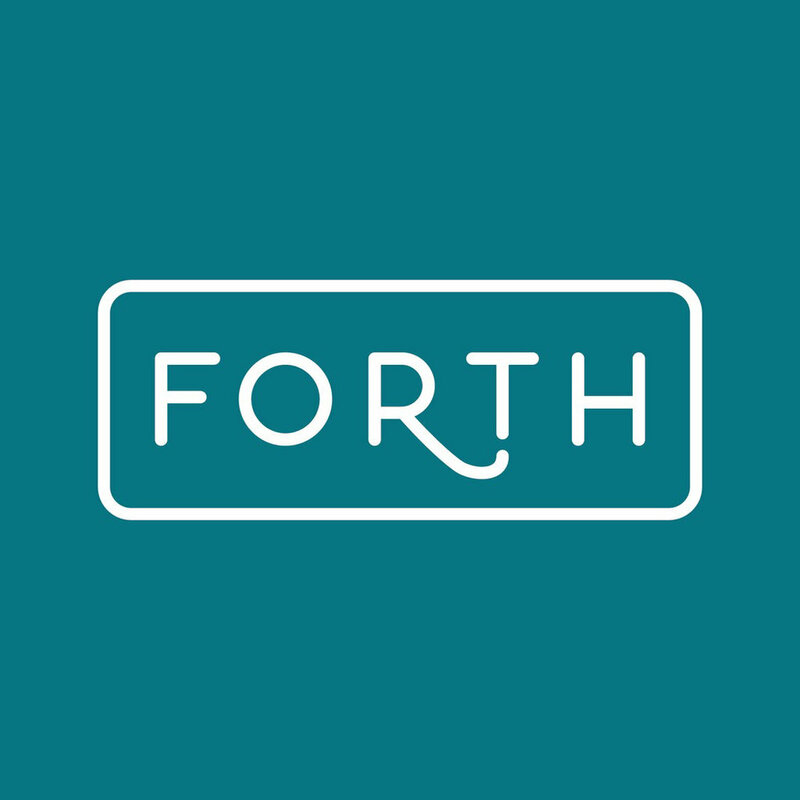 It's 4 x Forth Friday, and today we're talking to Forth Co-Founder and master wordsmith Julie Schumacher of Well Turned Words! A beautiful, beautiful space, but more, it's what it holds. I was selected for an NEH grant for teachers in 2007 to do cartographic scholarship at the Newberry. I spent several glorious weeks amid the archives researching maps modern and ancient. I do love me some maps. It's free and open to the public, has an awesome book sale and just makes my heart so happy. We got married there in 2009. But before and since then, it's been a place that just begs to be wandered in. We recently went back and were greeted with an "Oh, it's YOU two" by the manager and bought a weird 8 gallon jug because everyone needs an 8 gallon jug. We don't go often now but when we lived in Lincoln Square we both took lessons and just valued having this place as a local institution. For a hot second in 2010 I could almost play the ukulele. Yea, we got Second City. But my improv of choice is this current events-based romp from some of the smartest improvers I know. Places I’ll go someday: I've been really lucky to go lots of places and have made travel a priority. But the magical thing is the more places I go the more there are to discover. Here are two very specific locations I want to check off my list and two whole countries I plan to devour someday. A friend told me about this in, man, 2004? And it has been on the short list for ages. It's only on exhibition through 2015 but everything about this room makes me giddy. The story, the blues, the golds, the story. I know. We're mad at them. But between the rebuilt Amber Room and St. Basil's Cathedral I just really, really want to go. Plus you get to name one place and it's HUGE and that's worth something. Oh goodness. My husband and I are both desperate to get there. Whether it makes more sense with a slightly younger kid or older kid is up in the air. But when we go, we're hiking the crap out of the monastery hike in Shikoku. Best bites in Chicago: You cannot go wrong, my friends, at Girl and the Goat or Alinea or Elizabeth. You can't. But I know you know that. Their peanut sauce lovers dish haunts my dreams. Site to many, many, many memorable meals in my life. There's something cozy and decadent about this space. And sometimes I need to be someplace that prioritizes champagne and tassels. So the bite here is champagne? They also have a blanket "add black truffle" option to their menu and that just seems like good business. If we're talking best bites, their heritage pork tacos are worth their weight in whatever is super expensive by weight. And anything that celebrates late 19th century wherever is good in my book. The falafel sandwich (medium spicy) is beyond. I love Erin Loechner and pretend we are friends. So in my head, we're talking about parenting a lot and because my tot is older I'm very wise and helpful. I like that she can have her hands in many things, collaborate with awesome people and maintain her own voice. In my previous life I was a history teacher and this site brings me all the weird and wonderful things I love about this big, old world of ours. Gabrielle Blair does an incredible job writing authentically about such wide ranging topics in a perfectly conversational, intimate way. The tour of homes with kids are phenomenal, including the most recent one of a friend! A news source rooted in history with an online presence that makes the Quarterly element of Lapham's more tolerable (says the woman who co-started a quarterly salon). Each issue is themed around a current event but then the voices are those of the past. So you're accessing the world's great writers and artists in a modern context complete with incredibly engaging infographics (one on Rambo movie deaths stands out). The printed issues are gorgeous. Gorgeous. Give them as a gift to your favorite nerd. Thanks so much Julie! Everything Erin Loechner has her hand in is magic, RM Champagne is a favorite of mine as well, and if you need a buddy to travel to D.C. with you to visit The Peacock Room in The Smithsonian, I'm your gal. Follow Julie at Well Turned Words, on Twitter, Pinterest, and Instagram.